If your equipment is broken down or you need work carried out in the field, we can come to you. P&D Industrial are the solution for all your hydraulic and pneumatic machinery hose and connector repairs. We provide a professional and reliable service 24 hour a day, 7 days a week. Our quick response mobile service vehicle provides emergency repair and we’re well equipped to respond to today’s increasingly varied and often unique hydraulic field service demands. Call us on 0475 453 239. You can count on P&D Industrial to have the right solution first time, every time. Whether you are involved in mining, agriculture, transport, forestry, the marine industry – any industry that needs fast, effective and reliable hose and hydraulic services – we can help you get the job done no matter how much pressure you’re under, 24/7. P&D Industrial operates a mobile response unit with qualified technicians servicing all earth-moving, industrial and agricultural needs in the Whitsundays. Call us on 0475 453 239 anytime! 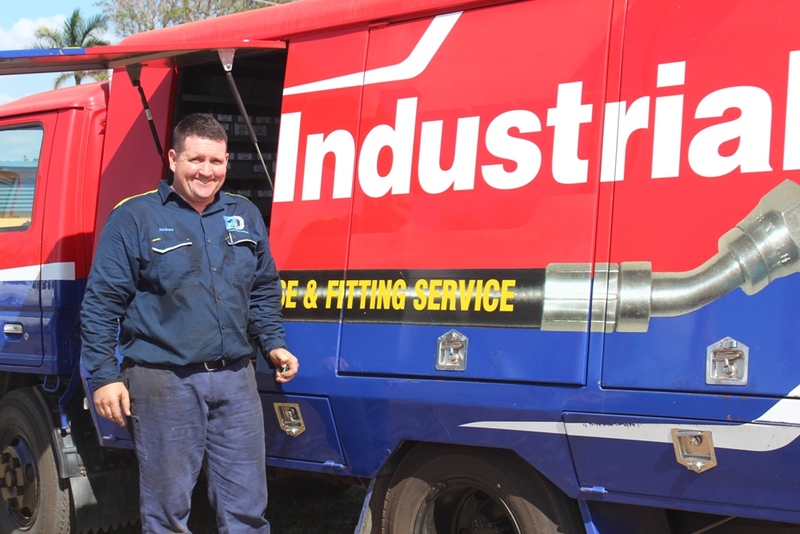 Proserpine & District Industrial is a 100% Australian owned family business specialising in fasteners, bearing & seals, welding equipment, power tools, hydraulics, air tools, hand tools, abrasives, cutting tools, engineering supplies, safety equipment, general hardware and much more. As you may be aware most industrial supply companies have a set product range, once outside that range you’re on your own! It’s P&D Industrial’s policy to supply a service not just a range. If we haven’t got it, we will get it! P&D Industrial has been servicing the district for over 20 years supplying local industries including farming, earth-moving, cane, quarries, local council and home handymen with the equipment they require to get the machine going or to get the job done.